The Formula Worlds ended Saturday, with frustration for some and elation for others. 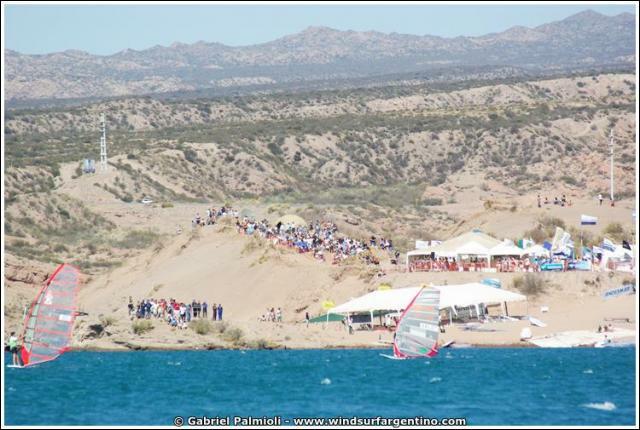 The difficult logistics and earliness in the season set a few pro sailors back, as they were working with unfamiliar new equipment or older sails, but those who came tuned up fully experienced the epic sailing conditions of Lake Potrerillos. Everyone thoroughly enjoyed the extraordinary venue: racing on a clear lake in powerful gusts of wind, red-brown mountains towering above the racecourse, and the dry, strange, incredibly vast land. After a few years’ absence from the Formula circuit to focus on slalom, Frenchman Antoine Albeau dominated the men’s fleet with seven bullets out of fifteen races. From his attitude, it seemed he was having incredible fun the entire regatta. Top pro sailors Paulo Dos Reis from Brazil and Ross Williams from the UK followed, with scores numbering twice that of Antoine’s. My Polish teammates performed masterfully as well. Sopot sailor Pawel Hlavaty finished fifth, and three-time Olympian Przemek “Pont” Miarczynski finished seventh in the 62-boat fleet. Longtime pro sailor Wojtek Brzozowski finished eleventh. All three sailors have spent time on the Polish Olympic Team. Another extremely fast Olympian from the Netherlands, Casper Bouman, finished fourth. 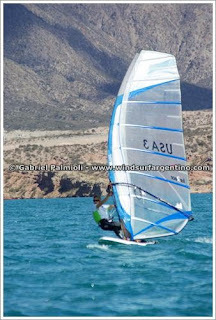 The advanced level of Olympic windsurfing allows the sailors to easily cross over to be successful among the professionals in the Formula fleet. I took another third place in the last race of the regatta, further ensuring my place on the podium. Marta Hlavaty once again reigns as third-time World Champion. Her combination of excellent sailing skills, good equipment, and great attitude well earned her the spot. Morane Demont, a young and skilled French sailor from Martinique, finished second. I finished up, according to my Slovak friend Patrik, as the “vice vice world champion.” It was somewhat emotional for me, as I’ve never had tangible evidence of my progress in sailing. The organizers gave us each a cup weighing at least 15 pounds – pretty heavy evidence (in the airport, I dropped it on my big toe, and my toenail is bloody and turning blue). I fully enjoyed the moment of celebrating how hard I’ve worked at sailing Formula. Backing my finish is five extremely difficult years of fighting for small improvements, learning from mistakes, stress, and sheer survival as a full-time sailor (you still can’t beat the lifestyle). I feel that Formula is something I completely own. It’s individual enough that I don’t feel constrained and difficult enough to really challenge my sailing and equipment tuning skills. Plus, it’s incredibly fun racing and adds depth to my Olympic-class sailing. Although I’m experiencing some breakthroughs in skill, for me there is still an incredibly long way to go. I still have the Olympic-class racing to think about, and will leave for the French Olympic Week in just two weeks. I am excited about beginning the season as it means new opportunities for improving my sailing, and of course, new adventures. Thanks to my great sponsors, Compass Marketing and KA Sails, for contributing so much to my Formula and Olympic campaigns. 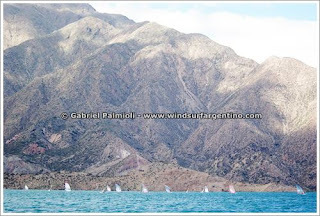 Lake Potrerillos is a pretty cool place to sail. Every day, the wind fills in around the same time, but in a slightly different way. Today, the wind was shiftier than normal and sometimes port tack was favored more from the starting line. Although there are big shifts, there is a pattern to the lake and after five days of regatta, I've got it figured out. Since the gusts come down from the center of the course and fan out over the lake, the edges of the course are lifted. The left side of the course is much windier than the right, so it pays to stay as left as possible, even making an extra tack or two. At the top left side of the course, a rocky outcrop creates two big lifts on each tack. Therefore, you can sail right underneath it and be lifted on starboard tack, and after you tack and reach the other side of the outcrop, you get lifted on port tack. This is pretty helpful when the wind is light and gusty, because it gets you up to the top of the course where the gusts are stronger. After the big port lift, you get headed again in the middle but it's enough to get you to the windward mark again, where there will be another lift. There is always the potential to get screwed near the cliffs at the top of the course, but there are usually enough gusts to get you around the mark. Lakes are definitely interesting. In some ways this venue reminds me of racing at the Event Site in Hood River, Oregon, where the wind also fills in a certain way and there are patterns to how you race there. I sailed a couple of good races today. I'm noticeably slower than the top two girls and comparable with the fourth-place girl, but if I sail a smart race, I can maintain the third position. This means I have to start a certain way and stay in the clear air so I can get up to the top of the course faster. Maintaining angle is most important for me, as a distance of just 20 meters lower on the course can put me in a less windy spot on the lake. Tomorrow we will sail only one race, with awards to follow. I'm firmly in third place now, and it will be my first real championship on the podium. I'm really excited about my finishes, and also about how much I learned this regatta. I have a long way to go to. Become really fast, but I've greatly expanded my concept of Formula Windsurfing. Living with the Polish is funny, and a little predictable. One can always count on the guys to be up to some mischief, but their normal habits are a familiar reminder of the country I've apent so much time in. Breakfast is typical East European: open-face sandwiches on rolls or sliced bread with tomatoes, cheese, and ham. We arrive at the venue at the last minute, rig and de-rig efficiently, and are among the first to leave. We make dinner as soon as we get home, and the boys expect the girls to take care of them by making the food. Since there are no supermarkets on Mars, we stocked up on pasta and veggies in Mendoza before the regatta. Marta makes the pasta, and I make the salad. We set the table and the boys come to eat. Afterwards, there is some debate over who is responsible for the dirty dishes. In the evening, we rest or sit around the table with some beer or vodka. The guys are relaxed, but take the racing seriously. The men's team includes a few guys from Sopot, including the top Polish RS:X sailor, and two other really good Formula sailors. Another longtime professional sailor from Warsaw rounds out the group. I am competing and rooming with Marta Hlavaty, the 2009 Formula World Champion and Polish Olympic Team member. All the sailors are enjoying the regatta to the max. We sailed three races today; two in very windy conditions and one in the gusty, dying late afternoon winds. The wind tends to die quite fast, abd once it starts to go down, it is sometimes too late to change equipment. 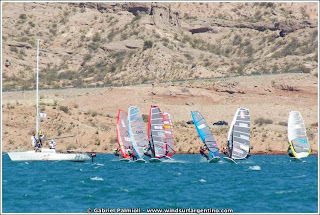 I had two solid races in the breeze, but I really needed the big gusts to keep the 9.8 powered up during the last race. I switched my fin right before the last start to the 75-5 XXXS (my most powerful fin), which helped a lot. I posted a 3-3-4 today and with three races to go, am pretty solidly in third place. Tomorrow two races are scheduled, and on Saturday, one race. Sailors are looking forward to the conclusion of the regatta. 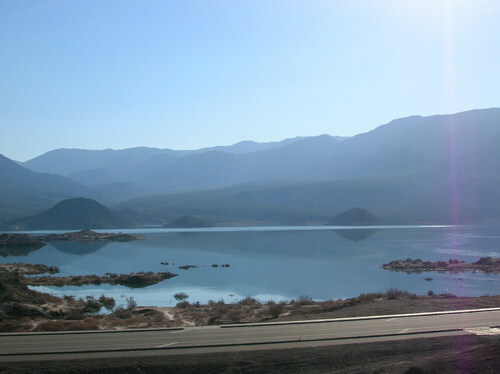 Mornings are pleasant on Lake Potrerillos. The water is glassy, and it’s sunny but not too hot yet. The dust is settled, and sailors can rig in peace. It’s a long walk from the parking lot to the venue, and there are plenty of opportunities to take pictures. The only dilemma is because there is no wind, it’s a guessing game as to what sail to rig. Before the racing, I rigged the 9.0 and 9.8. However, the wind filled in quite light and I de-rigged the 9.0 to rig the 10.7. It ended up being a good choice, as I needed it for the last race of the day (and should have taken it for the second race as well). The committee held three races today, and I finished the day with a 3-4-3. I am finding out that if the wind is light, my 9.8 doesn’t compete well with the other girls’ 10.0 sails. The 2009 KA sails are easy to manage and light, but they “rig small” and my 10.7 is more comparable to sails slightly less in size. This means I’ll have to use it as much as possible so I can power through the lulls. The last race of the day was particularly interesting because the wind dropped and I decided to go with my biggest gear possible. This turned out to be the right choice, for although I was overpowered in some gusts, the wind gets so shifty and full of holes at the end of the day that it’s important to use the big gear to maintain speed and angle. During that race, Marta and I were pretty close and ended up fighting it out on the last downwind, which was fun. She got me at the finish though, because I could barely hold onto my boom. It was slick from all the dust although I wash it constantly. When we arrived on shore, we were surprised. Hundreds of locals showed up to watch the racing and check out the venue. Big groups of friends and families walked up and down the road and packed into the upper level of the venue. Only a small orange plastic fence separated the crowd from the racers, and people called out questions to us in Spanish and took pictures. As we drove home, the rows of cars parked on the side of the road shocked us. Of course, the bikini party on schedule for today drew a lot of folks, but it seemed like everyone enjoyed the racing too. Tomorrow’s schedule is for three races again. I’ve got a better idea of what to expect from this venue, so racing will be a little smoother. Conditions came back down to earth and back to normal today, a lovely 12-17 knots, flat water, and big gusts. Today we completed four races and I didn't even have to change a sail. 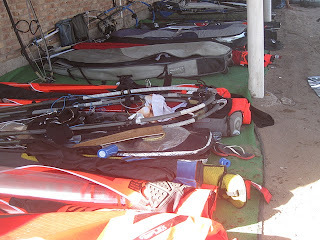 I organized my equipment better today, and staged my sails from the competitors' tent. This meant competing for space in the tent and rigging on top of others' gear, but I didn't have to drag everything up and down the hill. As yesterdays' crazy conditions were fresh in my mind, I rigged the 9.0 and 9.8, leaving the 10.7 a third of the way staged across my bags. The wind fills in quickly on the lake, and when it comes, a line of whitecaps contrast sharply with the glassy morning water. The race committee immediately sprung into action and whistled for us to get off the beach. I am finding that my speed is decent, but I'm not as fast as the top girls. I'll keep tuning my gear to try and find a little more speed. My starts are good and tactics solid, and I posted a 2-3-3-3 today. Over the last two days, we completed six races out of fifteen. With four days of racing left, the most likely schedule will be 3, 3, 2, and one race on the last day. The past two days were an assault on sailors and equipment. 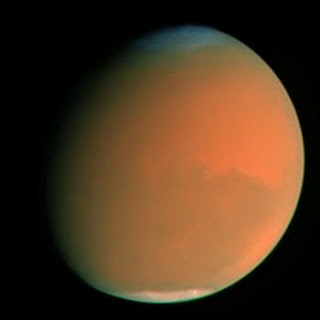 The weather unexpectedly turned unstable, bringing lengthy periods of clouds and sun. Inevitably, the crazed wind was all over the place. Yesterday, before the regatta started, it blew 30 knots, and those few who braved the wind returned to the beach with broken battens, holed boards, or a good story. 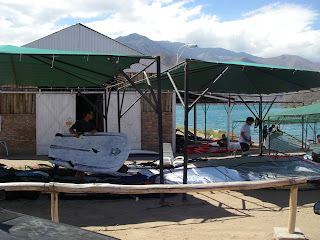 Most sailors stayed on the beach and worked on their equipment. We all hoped the conditions would be back to normal for the racing. The first day of racing, everyone got organized with a skippers meeting and dragged their gear down to the beach. Rigging is difficult at this venue, because the dirt chokes everything and spots on the Astroturf are hard to get. We waited for the glassy conditions to change, and soon enough, they did. We all rigged our biggest sails, and the men headed out on the water. Unfortunately, in the next five minutes, the wind went from 12-15 knots to 25 knots, and the men got slammed left and right on their 12.0 sails. Soon, an exodus from the water onto the land began, and the guys frantically re-rigged in the dust storm. I went from my 10.7 to rigging a 9.8, and then had to race around derigging the 10.7 and rigging the 9.0. This took so long I was late for the start, but made it with 3 minutes to go. My first upwind was stellar. I had tuned the gear perfectly, was going really fast, and rounded in second behind Marta. However, on the downwind, the wind began to die. I was exhausted from speed-rigging three sails and inhaling dust, and dropped the sail on my second jibe. After that, it was a struggle to plane around the final lap, but I finished third. I rigged the 9.8 again for the second race, but as soon as I left the beach (and I was late again for the start from the rigging time and dashing back and forth to the tent) the downhaul line broke and I had to return to the beach after the start. After all this, I had to de-rig the three sails and drag everything back up the hill. I was really worn out from the rigging rather than the racing, and hadn't eaten anything for being short on time. The dirt had blown everywhere; all the competitors' equipment was coated and our ears, eyes, noses, hair and lungs were completely full of dust. It was probably the most challenging day of my windsurfing career, and I only sailed one race. I rigged and de-rigged five times, sailed in 25 knots and 8 knots within a half hour, and ran intervals up and down a gravel hill in a dust storm. Hopefully tomorrow will bring more reasonable conditions and better gear organization on my part. My first international Formula event is shaping up to be really interesting. Like all events in remote locations, only the more dedicated professionals show up. Logistical complications, funding, and the timing of getting new equipment are all a detriment to travelling sailors who don’t windsurf for a living, no matter how good they are. The challenging aspects of this venue aren’t in fact the sailing itself, but how to get around, where to live, and the crazy journey it is to fly here. It seems everyone has had some flight drama. My flight stopped for 12 hours overnight in Buenos Aires, and I had to switch to another airport and re-check my gear. This was accomplished by taking the gear to a hotel overnight, and getting a ride to the next airport in the wee hours of the morning. However, this was not the worst flight by far. A few Polish sailors were stuck in Rome for 37 hours, and Marta, the 2009 Formula World Champion from Poland, had to circle Santiago, Chile in the air for three hours while the country experienced a second minor earthquake! 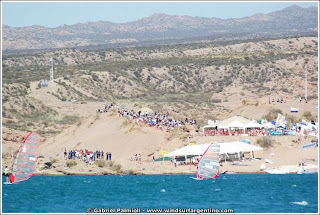 Flights are not the only complication, as the regatta venue, Lake Potrerillos, is in a very remote mountain location 50 km from Mendoza, the nearest city. If you want food, you had better have a car, or commute 100 km round trip to the lake every day by bus. Luckily, I found a place with the Polish sailors in a cabin on the mountain 10 km from the lake (and we have a car!). We don't have internet, so updates may be sporadic, with no pictures. 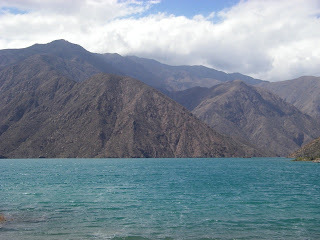 Apart from the logistics, Lake Potrerillos is incredible. The lake sits at an altitude of over 1,000 meters and it is 1,800 meters deep (no need to worry about hitting a fin on a sandbar here). 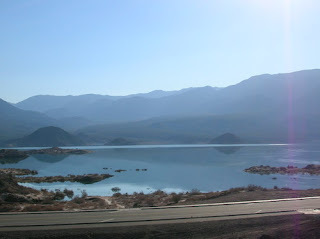 It is surrounded by the Andes Mountains, which are incredibly dry and reddish. 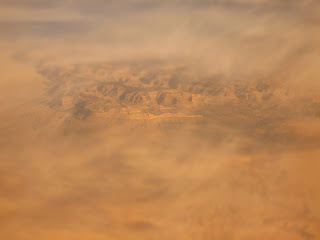 It is almost like sailing in a desert, with absolutely nothing around you but mountains and blowing red dust. It blows a gusty 12-17 knots every day with extremely flat water, water so clean you can fill your water bottle straight from the lake. The other interesting and challenging aspect of the venue is the dust. The dust from the fluffy dirt beach and cliffs blows everywhere, and it is really tough on the equipment. Competitors keep the equipment in a big tent, which is quite far from the launch so that you have to prep everything on the beach and be really organized. Flying dirt covers everything, and it is a lot of work to keep the gear mostly clean. 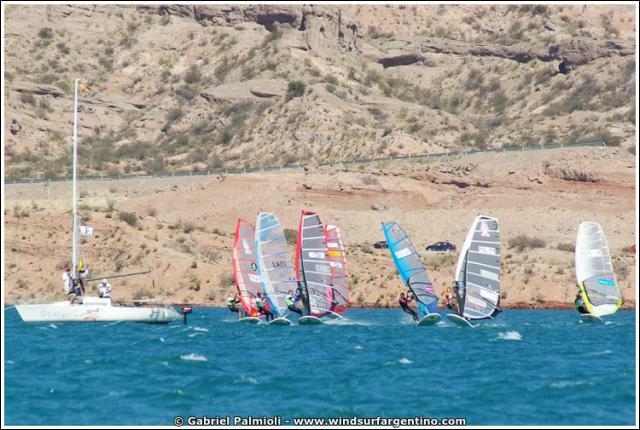 Aside from the peculiarity of the venue, sailors are training as normal and really having fun in the optimal conditons. At this regatta, the fleet size is smaller than a normal world championship, but the level is very high as most of the pros are attending. Only a few girls are racing here (4), but they are all talented sailors from Europe (however, only 4 girls means no prize money!). The organizers may race our fleet with the men, which will be difficult but good training. I am getting faster in the flat conditions and am feeling pretty confident about my sailing. To most of the international sailors, I have unusual equipment. 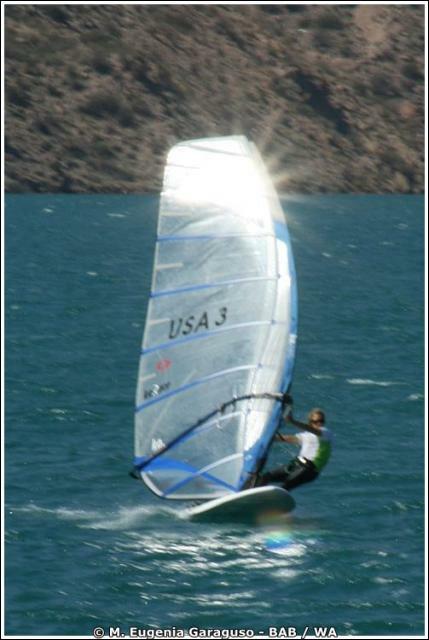 I’ve already fielded lots of questions about my Mike’s Lab custom board and KA Sails. 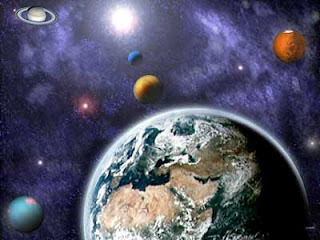 The Formula Worlds will be an interesting regatta, and all the sailors are happy about racing in this unique venue from another planet. I’m looking forward to testing my gear against the fastest and most experienced sailors in the world. This is my 6th, almost-consecutive time competing at the Calema Midwinters Regatta. Every year, I've been doing something a little differently. From 2004 when I was sailing on IMCO, 2005 on borrowed Formula gear, to 2007 on RS:X, I've finally found my niche and have taken Midwinters Formula racing seriously ever since. I've always had the goal of winning this regatta. Many times the womens' fleets aren't extremely deep, but a few talented women are always present, and it can be a challenging fight with them. In earlier years, I was competing against men in the longboard fleet, and learning how to race on the RS:X. After building a history at this venue of learning the game of racing and ironing out the kinks in my Formula sailing, I was really ready for a win here. After tuning up for the regatta, I felt I had my gear really organized well. I've been on the same equipment for a year now (KA sails, Kashy fins, and Mike's Lab L7 board) and everything is feeling really comfortable. The comfort factor was huge for me, as the fleet that showed up was deep with talent, including a good number of pros tuning up for the Formula World Championships in two weeks, and all the local hotshots. In all the fleets, the regatta had an exceptionally big turnout of kids. Younger sailors from the US Windsurfing youth team (and lots of other international sailors) were competing in the one-design Bic Techno class. It was an important regatta for them as it was their North American Championships, and simultaneously, a qualifier for the Youth Olympics. 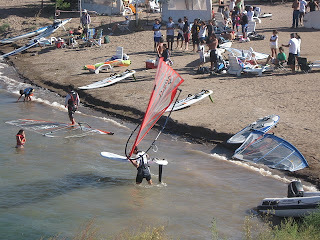 The Kona longboard fleet was also having its North American Championships, and young local windsurfers competed in this, along with a few in the Formula fleet. The usual suspects and shady characters of the local race scene put forth a good showing as well - my friends and training partners came down from the freezing northeast for some winter action. I spent some time tuning up with them and checking out the latest fins in the Kashy collection. For the racing, Florida delivered the cold standard of this winter: northerly, frontal winds. It was difficult to determine which sail to take out, as sometimes it was extremely gusty. I ended up listening to Florida racer Ron Kern's advice: it's never a bad idea to use your biggest sail at this venue. Each day of the regatta, the racing was classic cold front conditions. Decreasing, shifty wind started out in the morning from the northwest and gradually clocked northeast. This meant that the Formula fleet always had a small window of time where the wind was good enough to get a few planing races in. Luckily, Darren Rogers from the Gorge was there to head up the race committee, so the timing of the racing, even with six fleets to race, was just about as perfect as it could get. The Formula fleet completed seven races over the course of three days. During this time, I had a few revelations about my racing and equipment tuning, which took a few good races, and a few bad races, to figure out. On the first day, we sailed two races back-to-back, during which I used my largest KA sail, a 10.7. As the wind built to 15+ knots, I realized that the big sail was controllable and actually appropriate to use (normally I use a 9.8 in these conditions). I needed the power to get through the gusts, out from under people, and to pull off a decent start in choppy, crowded conditions. However, I didn't realize this until the second day, when I took out the 9.8 in similar conditions. Although I normally have good starts, pulling off a decent one was difficult in the talented fleet. Putting oneself in a favorable position on the line meant starting in a group of really, really fast professional men. Starting above them worked well, but it meant that other talented sailors could roll over me. Timing and finding a lane was also really tricky. With the 9.8, I was unable to pull off a really good start as I simply didn't have the power or speed to hold my lane. I had a few good starts on port, but ultimately I lost distance as the lower left side of the course generally had a bit more pressure than the lower right (the upper quadrants of the course saw the opposite situation). In the pressure, the 9.8 did its job, but I was always around so many other sailors that it was hard to finesse the smaller sail in the disturbed air and water. It was a good experiment in finding the wind range and crossover points of the two sails, even though it meant I lost a few places in the racing. In addition to sails, I was also able to test a few new Kashy fins, and found one that worked well in the marginal conditions (68 double-extra soft). I used my favorite fin, a 75-5 triple-extra soft, in extremely light wind, and plane around the course in 6 knots of breeze. I was successful on the last day of racing in that I chose the right equipment confidently, pulled off solid starts, and stayed with the fleet around the course. My better races usually put me around 20th place in the 35-board fleet, which are solid finishes in a fleet of really fast men. I feel I can improve upon my finishes by further examining my speed, but this will take some time and lots of equipment testing. 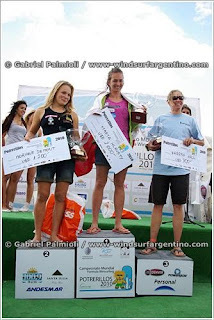 I'm extremely happy about the way I raced (and that I won the women's fleet!). Congratulations to all the racers and event organizers for a really successful regatta. Thanks also to Compass Marketing and KA Sails, my incredible sponsors who make my sailing goals a reality. Karen Marriott (2nd), Monica Arche (3rd), and I receive our trophies.